Alissa Durling is an artist based in the Northwest whose work primarily takes the form of abstract landscape paintings of personally significant locations. Her interest in and appreciation of the natural world can be traced back to her childhood, spent in the scenic small-town of Hamilton, Montana. Upon graduating high school, Alissa moved to Portland to attend the Oregon College of Art and Craft where she received her BFA in Craft with a concentration in Drawing and Painting in May 2013. After completing her degree, she spent a year launching her painting career in the San Juan Islands, Washington where she gained wide recognition and received several awards and commissions. Her work is part of the permanent collection of the City of Anacortes on Fidalgo Island and is displayed in the Anacortes Hospital and Municipal Building. Now Alissa has returned to her first love as a painter, The Bitterroot Valley. 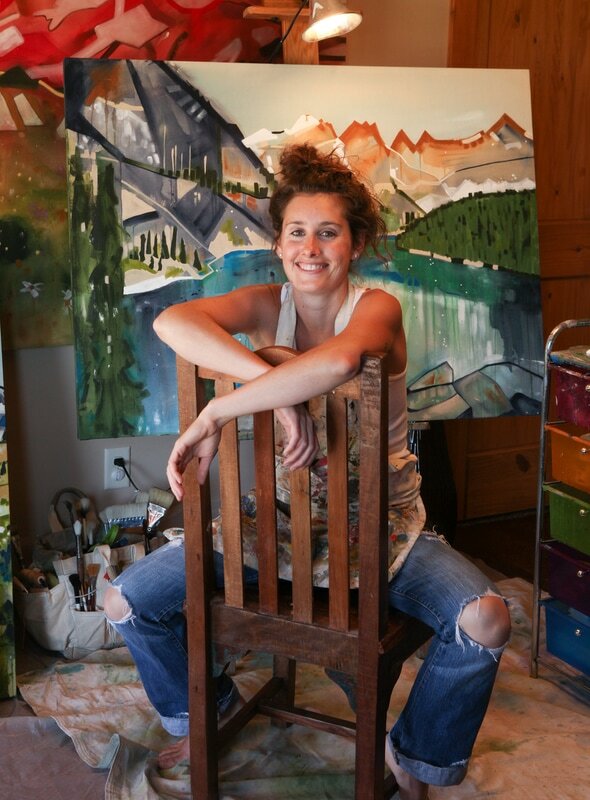 She is currently enjoying being a mom of two and painting from her home in Hamilton, Montana. Her newest paintings reflect the majesty of the Big Sky as well as the joy and peace that the mountains bring her.